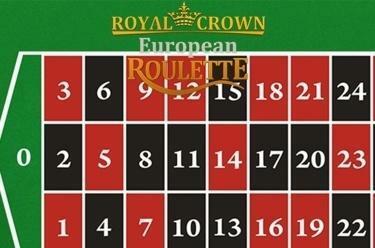 Play Royal Crown Roulette European online for free now! Nothing will give you more of that casino feeling than a few rounds at the roulette table - the greatest casino classic out there! Let your gut feeling decide, place a bet on your personal lucky numbers and get the ball rolling! If luck is on your side, you can collect massive amounts of Twists from the sidelines! Your aim is to try and predict which number the ball will land on next. With Royal Crown Roulette European you can place your Twists in the form of chips on the numbers 0 to 36, or in various combinations. If your luck holds true after “No more bets" has been called, then fantastic winnings are yours to take from the table!